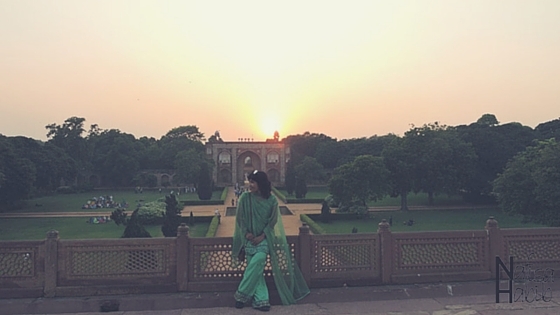 My first visit to Delhi, the capital of India was worthy and memorable. Many years-old landmarks took me to those eras what I used to read in history books. I tried to feel those times while visited every historical monument at the side. There are many tourist attractions in Delhi, but I fascinated by Mughal Architecture. Check out the following must-visit top three beautiful historical monuments in Delhi, India. Most of the attractive architecture mainly constructed during the reign of the Mughal Emperor Shah Jahan. Let’s know a bit more about some of my favorite Delhi architectural sightseeing attractions. And the listed three landmarks are also UNESCO World Heritage Sites in India. 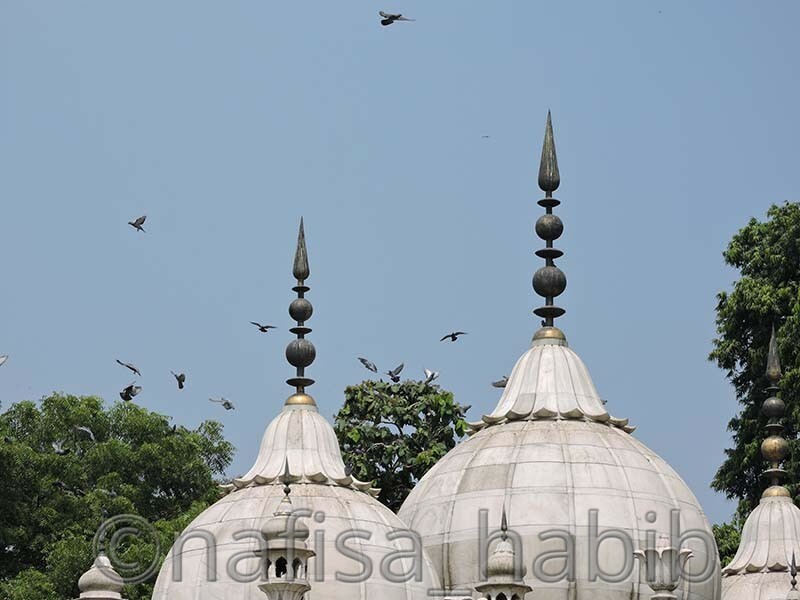 4 Click To Save Historical Monuments in Delhi! 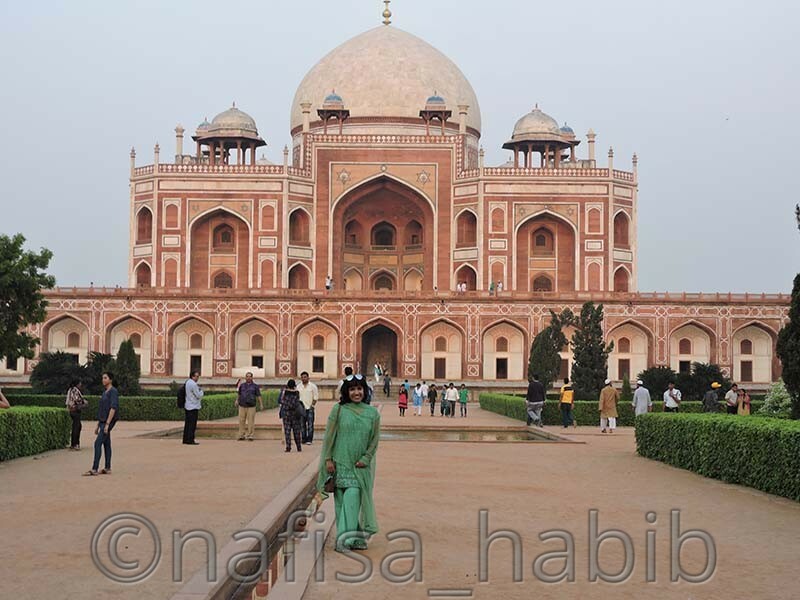 Humayun’s Tomb is the most beautiful mausoleum and was the first Mughal architecture in India. This beautiful monument built during 1565-1572. The architect’s name of this beauty is Mirak Mirza Ghiyas. Humayun’s Tomb is the tomb of the Mughal Emperor Humayun and listed as one of the World Heritage monuments in India by UNESCO. The interesting fact is that when you first take a glance at this tomb, you’ll find the resemble of it with the beautiful Taj Mahal. This palace-like tomb has worked as a framework to build the architect of the Symbol of Love. 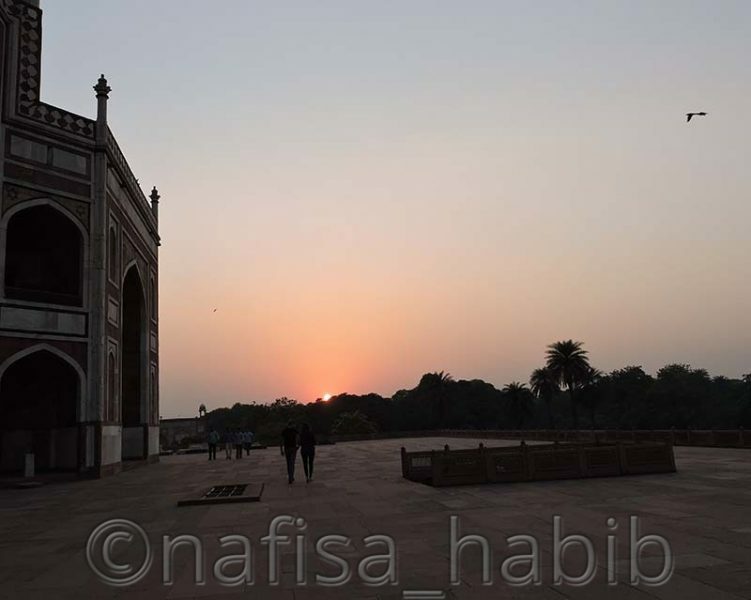 The whole complex of Humayun’s Tomb is full with almost 150 tombs of Mughal ancestry. 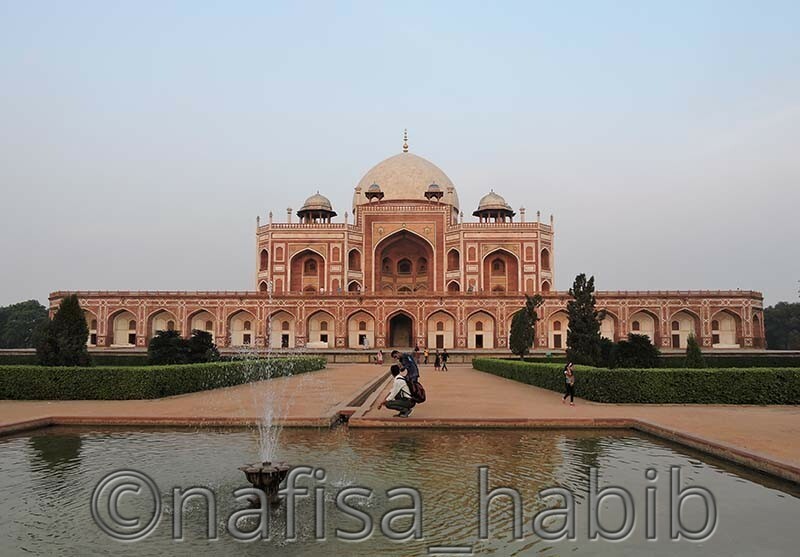 Humayun’s Tomb is also famous as the first Garden (Char Bagh Garden) Tomb in India. This garden created an extraordinary beauty of this red sandstone architect. It located on Mathura Road, New Delhi and daily (morning to evening) is open for visitors. The entry cost for foreigners 500 Rs, for Indians only 30 Rs. A visit here and precisely before the sunset can give you one beautiful experience of wonder and peace. Red Fort is the most popular tourist attraction and another beautiful Mughal architecture to attract you. 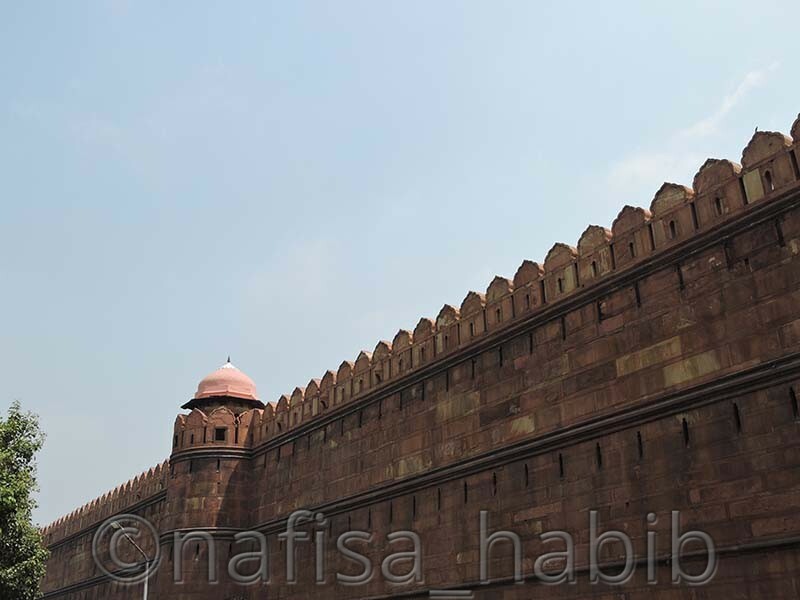 The red color of this fort made up of red sandstone, and so it named as Red Fort. It took ten years (1638-1648) to finish the construction of this fort and approved by the Mughal Emperor Shah Jahan. The architect’s name of this beauty is Ustad Ahmad Lahauri, and interestingly, he is also the designer of the incredible Taj Mahal. 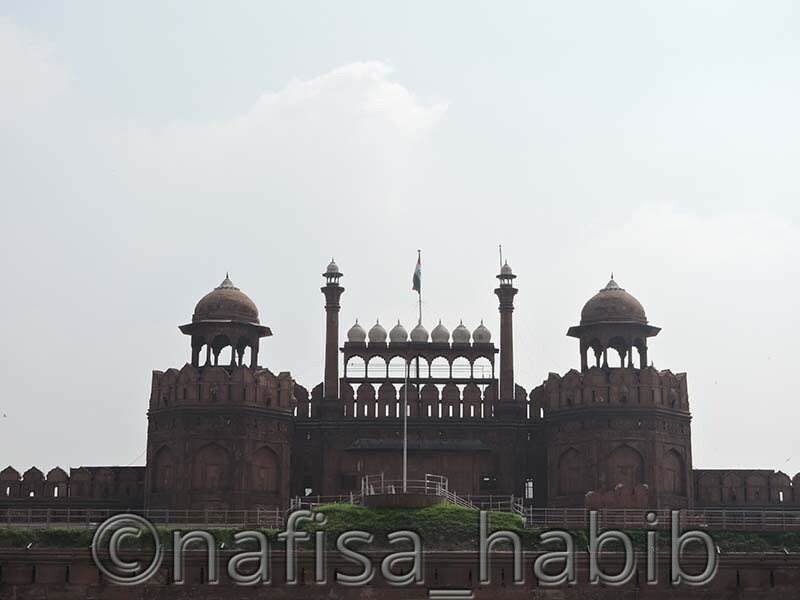 However, Lal Qila (Red Fort) used to be the Mughal residence, surrounded with the 254.67-acre area and protected by the defensive wall (1.5 miles). But unfortunately, at the end failed to preserve and conquered by Sikhs and British in 1857. There are much to explore inside the fort complex, and some wonders are the Diwan-i-Aam (Public Audience Hall), Moti Masjid (Pearl Mosque), Diwan-i-Khas (Private Audience Hall), Mumtaz Mahal. Furthermore, the main gate of this fort is known as Lahori Gate. 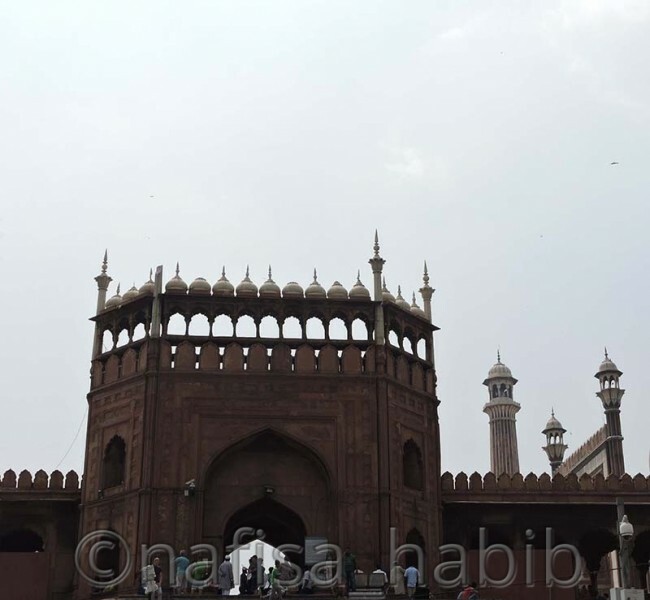 The UNESCO World Heritage Monument, Red Fort is located in Old Delhi, nearby Jama Mosque, and Chandni Chowk Market. Only Monday close and the rest of the day is open for visitors. The entry cost for foreigners 500 Rs. for Indians just 35 Rs. And yes, in the evening you can enjoy the history behind this fort with the sound and light show for an hour. 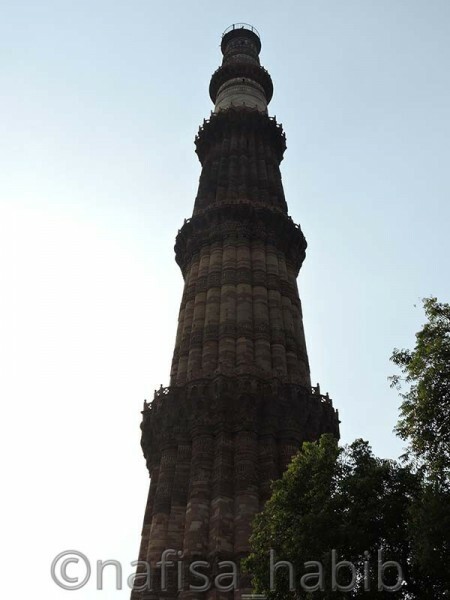 Qutub Minar was one of the surprising creations by Qutub-Ud-Din Aibak in 1193. He was the first Islamic ruler in Delhi. This Minar is the world’s tallest Minar or Tower (240 feet) and is the only brick monument standing without any support. 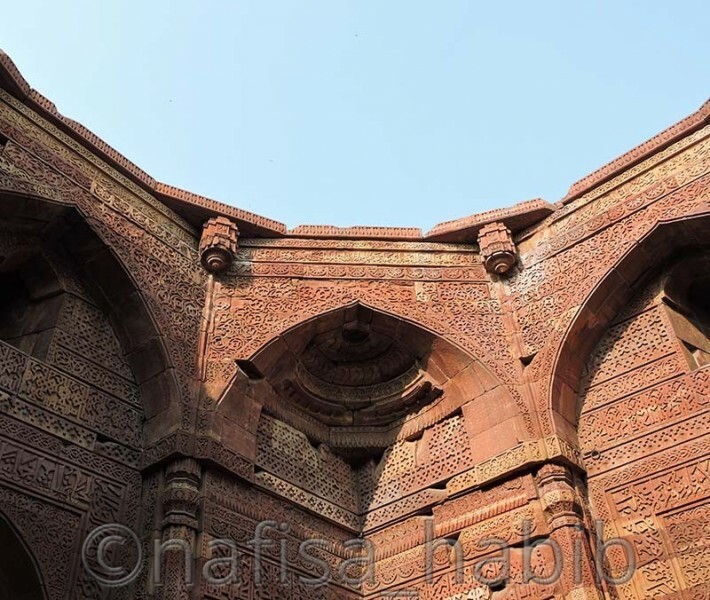 This beautiful Islamic architecture made up of red sandstone and marble. What I love about this beauty is the fantastic sculptures, design or artwork. 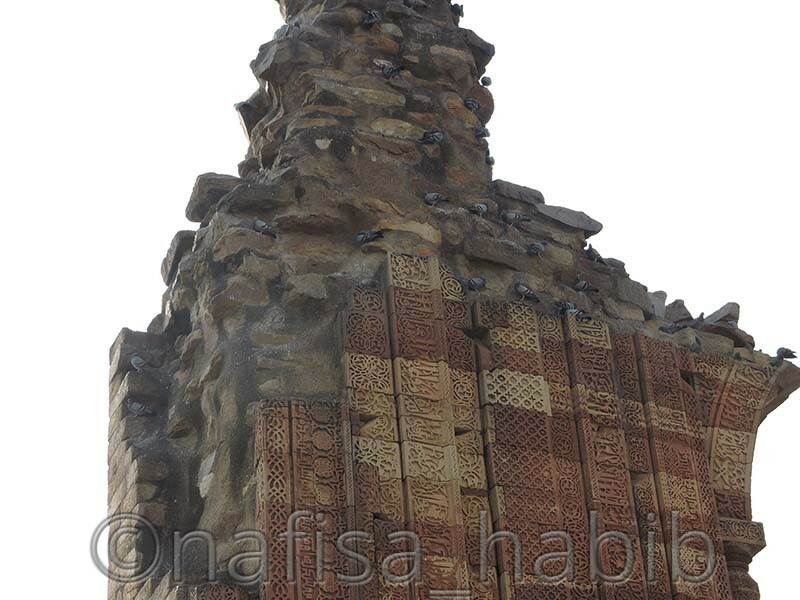 If you look closely, you can see the Arabic text (Holy Qur’an Verses) inscribed on this Minar. How beautiful it can be!! There are many controversies behind the history of this creation. However, mostly said, this minaret is the symbol of victory, and it played a significant value for starting the Islamic rule in India. Qutub Minar, the famous and popular tourist attraction listed as one of the World Heritage monuments in India by UNESCO. The location of Qutub Minar in Mehrauli, New Delhi and every day is open for visitors. The entry cost for foreigners 500 Rs, for Indians just 30 Rs. Jama Masjid or mosque is another beautiful Islamic architecture by the Mughal Emperor Shah Jahan. It took 12 years (1644-1656) to complete this biggest mosque in Old Delhi, India. Tourists from any religion are allowed to enter and visit this oldest mosque but must have proper attire. No entry cost and daily opened for all, only prayer times it is close to the visitors. And for taking a camera, you must have to pay 200 Rs. 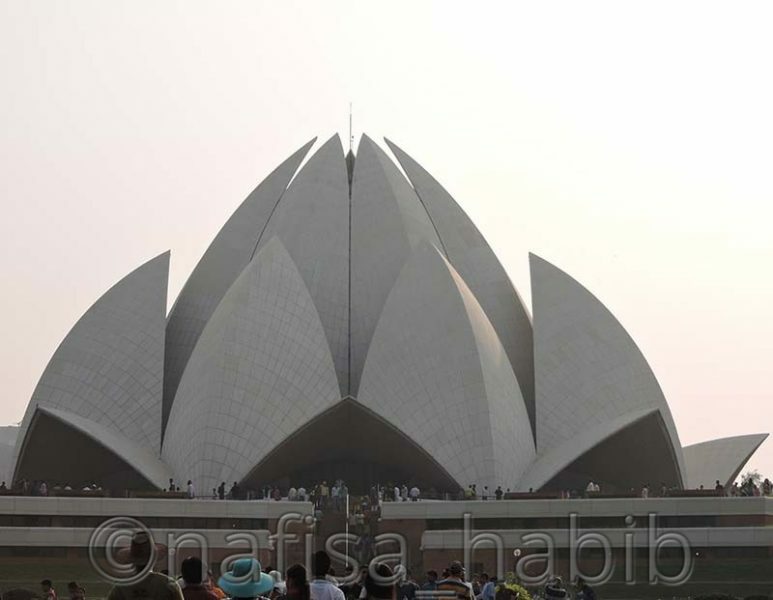 Lotus Temple is one of the most visited and popular tourist attractions in New Delhi. The beauty of this temple received many architectural awards and built in 1986. I loved its attractive Lotus shaped architect. It is amazingly beautiful in the evening. It is a peaceful place for worship by the Bahá’í Faith, but people from any religions can visit inside. No entry fee needed, and photography is not allowed inside the worship area. 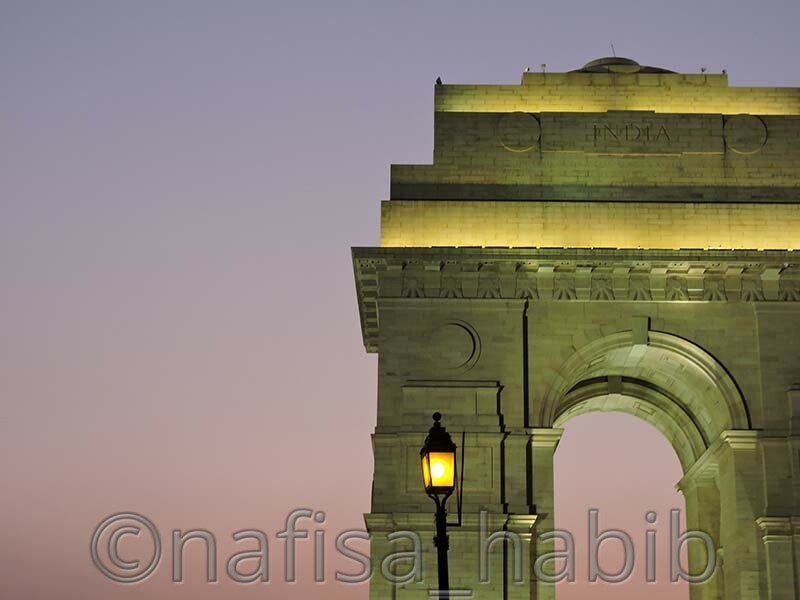 India Gate is the historical war monument built in 1921-1931. This gate (42) meter tall and looks very beautiful in the evening after the sunset while all lights lightened up near this landmark. This memorial mainly constructed to show the honor of all British Indian Army soldiers died during the first world war. India Gate is also known as All India War Memorial. And always open to everyone. One of the most visited tourist spots and attraction for all. It located in Rajpath, New Delhi. Moreover, the importance and the beauty of the historical monuments in India are outstanding. 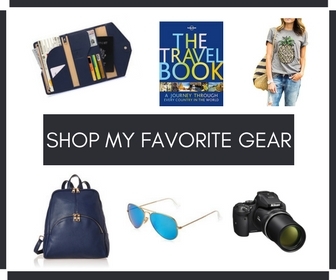 If you’re visiting Delhi, then don’t miss to explore some of the best here. 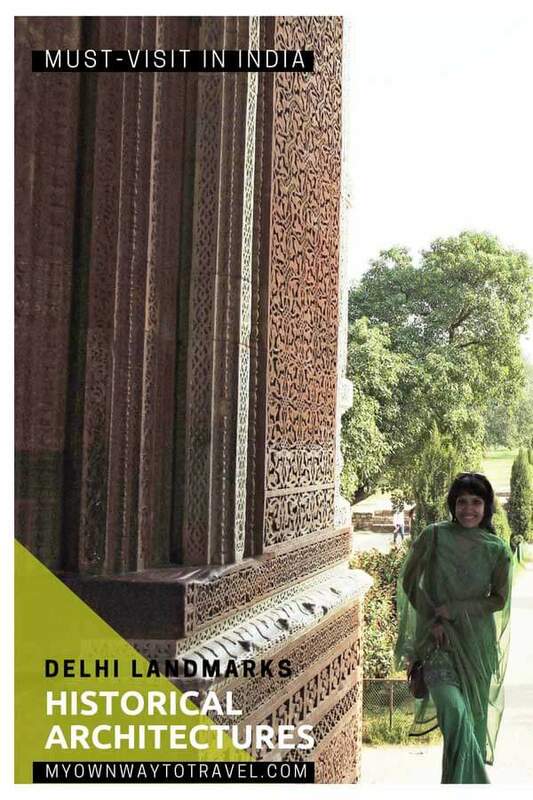 Have you visited any historical monuments in Delhi? Share your favorite one. 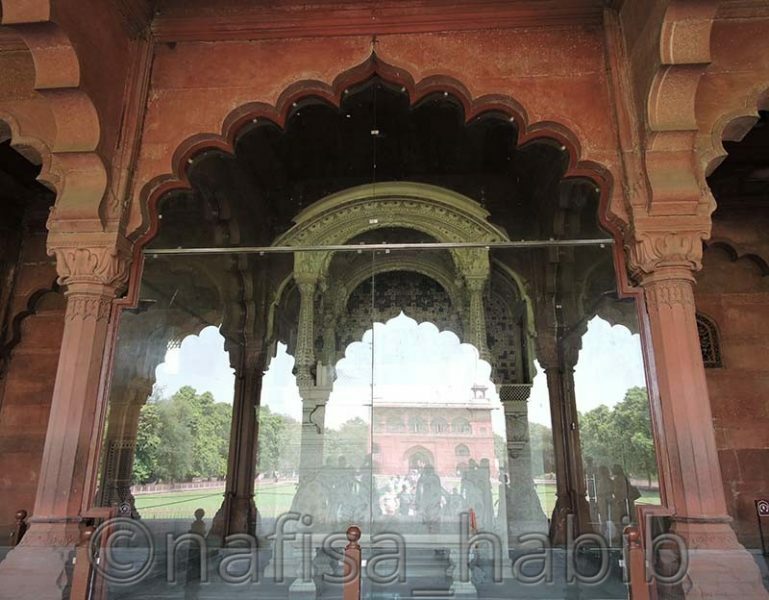 Click To Save Historical Monuments in Delhi!